A cockpit recording from a doomed Lion Air Boeing jet has revealed pilots desperately looked through the plane’s instruction manual as it nosedived into the sea off Indonesia. Pilots scoured the handbook as they struggled to understand why the Max 8 aircraft was lurching downwards – but ran out of time before it hit the water, according to people with knowledge of the recording. Just two minutes into the flight, the first officer reported a ‘flight control problem’ to air traffic control and said the pilots intended to maintain an altitude of 5,000 feet, the November report said. The manufacturer has said there is a documented procedure to handle the situation. A different crew on the same plane the evening before encountered the same problem but solved it after running through three checklists, according to the November report. About one minute before the plane disappeared from radar, the captain asked air traffic control to clear other traffic below 3,000 feet and requested an altitude of ‘five thou’, or 5,000 feet, which was approved, the preliminary report said. The Indian-born captain was silent at the end, all three sources said, while the Indonesian first officer said ‘Allahu Akbar’, or ‘God is greatest’, a common Arabic phrase in the majority-Muslim country that can be used to express excitement, shock, praise or distress. 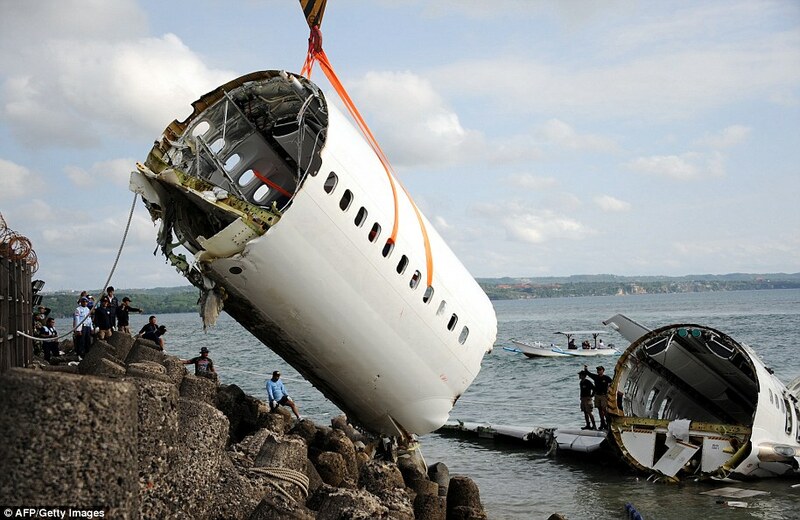 The plane then hit the water, killing all 189 people on board. 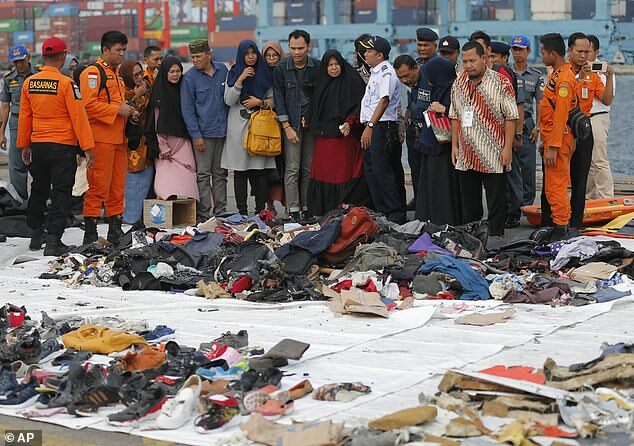 French air accident investigation agency BEA said on Tuesday the flight data recorder in the Ethiopian crash that killed 157 people showed ‘clear similarities’ to the Lion Air disaster. 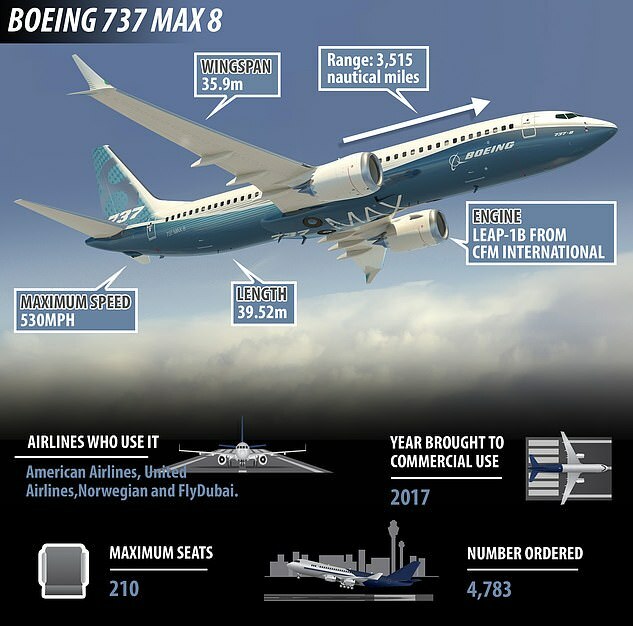 Since the Lion Air crash, Boeing has been pursuing a software upgrade to change how much authority is given to the Manoeuvring Characteristics Augmentation System, or MCAS, a new anti-stall system developed for the 737 MAX. The Lion Air passenger plane carrying 189 people when it crashed off the coast of Indonesia is the latest in a long list of incidents for the budget flight charter. The low-cost airline has been involved in numerous crashes in recent years, AeroInside historical incident reports reveal. 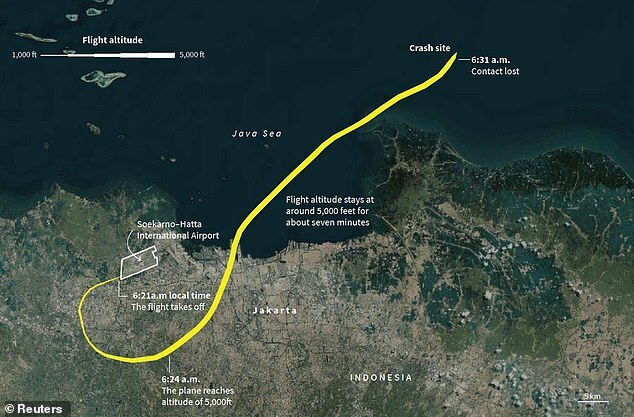 In 2017, one of the company’s Boeing jets collided with a Wings Air plane during a botched landing at Kualanamu airport on the island of Sumatra. Nobody was injured in the collision. In May of 2016, two Lion Air planes collided at Jakarta’s Soekarno-Hatta airport. 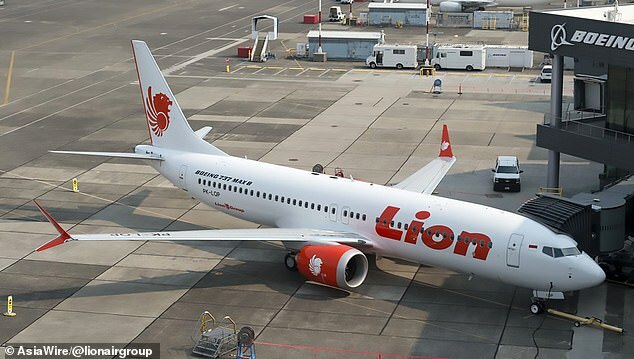 Only one month prior, a plane operated by Batik Air, which is a part of the Lion Group, clipped a TransNusa plane. Three years earlier, in 2013, a Lion Air jet, piloted by a young, inexperienced rookie underestimated the runway while attempting to land the plane in Bali. 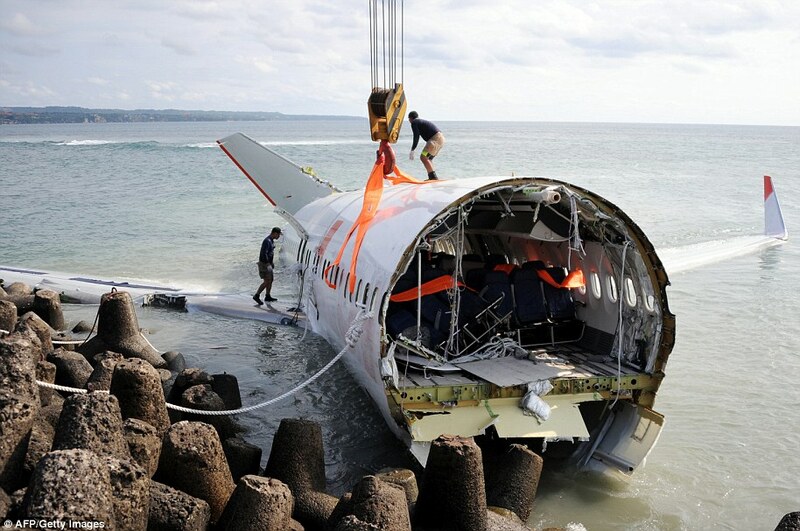 The plane, carrying 108 passengers crashed into the sea and subsequently split in two. Several people were injured in the crash, but nobody was killed. Several other documents confirm there have been multiple occasions involving miscalculation of runways, resulting in minor damage to the planes in 2012 and 2013. At least 32 people were killed and another 61 injured when a Lion Air plane skidded off the runway in Central Java in 2014 after landing in bad weather. 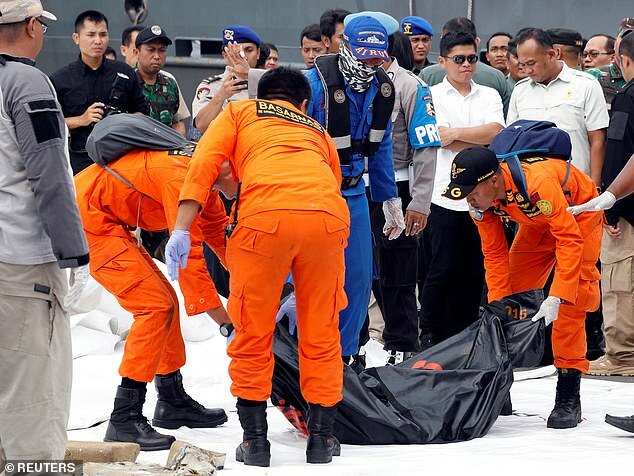 Authorities are working to determine how many people were killed on the Lion Air flight that crashed into the sea north of Indonesia’s capital Jakarta 13 minutes after take-off today. The fates of the passengers are so far unknown, but relatives were seen crying as they awaited news on their loved ones, and body parts were seen floating in the sea nearby the crash site. Lion Air’s flight JT-610 was heading to Pangkal Pinang, an island north of Indonesia’s capital. The domestic flight lost contact with air traffic control at about 6.33am local time (10.33am AEDT, 11.33pm BST). Indonesia’s air travel industry is booming, but has a reputation of poor safety regulations and frequent incidents across the board. The European Union barred Indonesian airlines from flying to Europe in 2007 due to safety concerns. Lion Air was allowed to resume flights to Europe as of June 2016, and the ban on all other Indonesian airlines was lifted earlier this year. It mirrors the reputation of Malaysian airlines, who have been tainted by the memory of missing MH370 and the shot down MH17. On the 8th of March, 2014, Malaysia Airlines Flight 370 disappeared while flying from Malaysia to China, and was never located – nor were the passengers. Only months later, in July of 2014, Malaysia Airlines Flight 17 was shot down on its path from Amsterdam to Malaysia while flying over Ukraine. All 283 passengers and 15 crew on board died. Outside of Lion Air’s troubling aviation history, accidents are still rife. In August, a 12-year-old boy was the sole survivor of a plane crash that killed all eight other people on board a private aircraft. 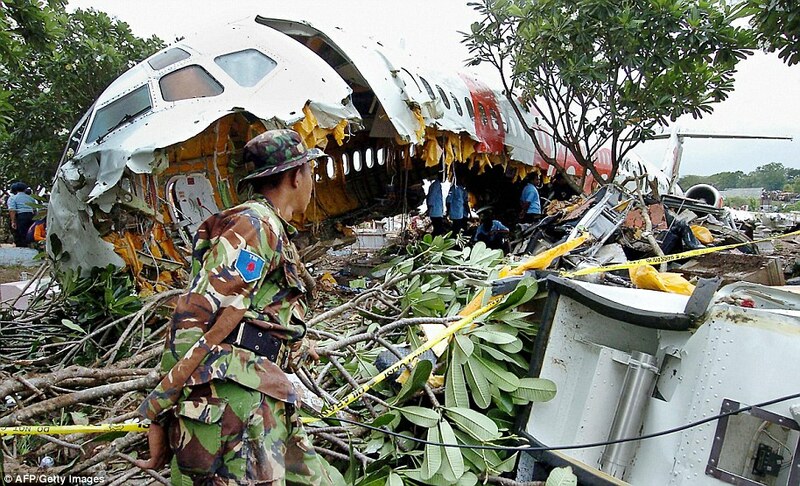 Three years prior, in August of 2015, 54 people were killed after a Trigana aircraft crashed in poor weather conditions.